MORE DISCUSTING ATACKS BY STARBUCKS LIBERAL ATHETITS AGAINST CHRISTAINITY AND THIS ISNT NOT THE FIRST TIME THEY HALF DONE THIS TO US AND THE WORSE PART IS THERE GIVEING THE DONUTS TO ARE CHILDEREN WITH RADCAL MUSLAMIC WRITEINGS ABOUT SHAKIRA LAWS WICH IS REALLY CROSSING THE LINE AND IT REALLY REALLY NEEDS TO STOP AND TRUMP WILL FIX THIS NOW THAT OBUMMER IS FINALY OUT OF ARE WHITE HOUSE!!!!!! 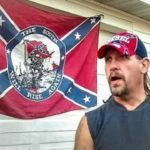 It’s the elvish text from the one ring in Lord of the Rings, dumbass. One doughnut to rule them all! Bite you tonge! Frodo would never be a MUSLIM!!! Its common knowlege that JR TOlkien was a Christian! Shakira is a pop star…and that’s the text from the ring from Lord od The Rings. Wow you people are stupid and gullible. ???? 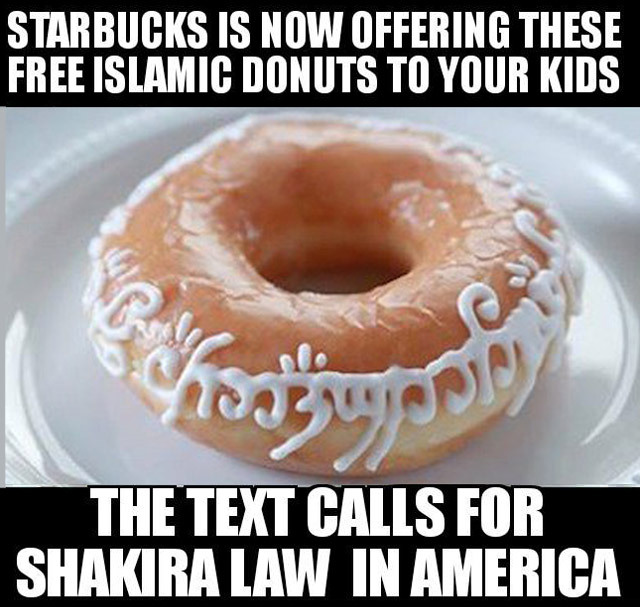 Shakira law???? ???????? A Venezuelan pop singer is quite a threat!